OnePlus 5 OxygenOS 4.5.2 update is started rolling out for the Oneplus 5 mobile users. OxygenOS 4.5.2 update is based on the Android 7.1.1 and comes with lots of bug fixes and optimizations. The OTA update is released and many Oneplus 5 users already updated their phone with this new 4.5.2 update. To check the update go to your phone settings and check for the System update. Or you can flash the new update manually on your phone. 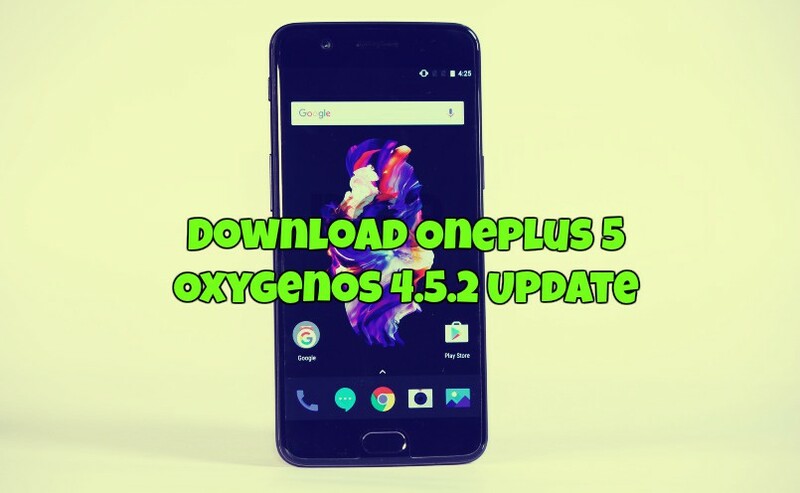 Below is the full guide which you can use on your phone and Download OxygenOS 4.5.2 for OnePlus 5 from below. This will work on bot rooted and non-rooted oneplus 5 phone. All you have to download the full ROM zip file and flash the same on your phone. Below are two methods for Stock recovery and TWRP recovery users. Follow all the steps as per the guide and make sure to take the full backup of your phone. 1. Download the Full ROM from the above mention link and place it in the root folder of your OnePlus 5. 4. 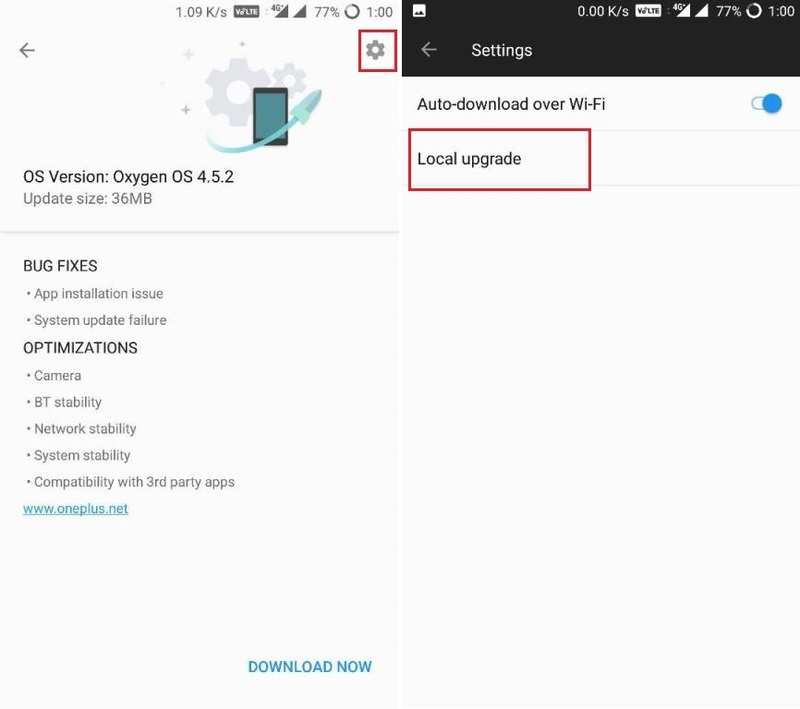 Select upgrade now and system would reboot in stock recovery and flash the Oxygen OS 4.5.2 update. The Oneplus 5 will reboot and your phone is now running on the latest OxygenOS 4.5.2 firmware & OS based on 7.1.1 Nougat. 3. Once you are in TWRP mode. Tap on Wipe > Advance Wipe > Select Dalvik & Cache > Swipe to Wipe . 4. Now, Go to Install and locate the OOS 4.5.2 Full Rom Zip & swipe to Install the ROM file. Now the OxygenOS 4.5.2 Firmware is successfully installed on your phone and the first boot may take some time to make some changes on your phone. If you have any questions? Do let us know that in the comments below.